[Ctrl c] + [Ctrl v] Jon Jones overcomes controversy to lift UFC light heavyweight belt. Jones regained the 205lbs title he never lost by stopping Alexander Gustafsson in the main event of UFC 232 on Saturday night. Closing out a fight week chock-full of controversy, with a drug test abnormality from Jones forcing the entire card to switch states, 'Bones' returned in stunning fashion by claiming a third-round TKO victory over Gustafsson this weekend. Having walked out to a medley of Queen and Jadakiss, with the lyrics "I've paid my dues, time after time. I've done my sentence but committed no crime," Jones will hope that his issues with the United States Anti-Doping Agency are behind him and that he can now focus on cementing his legacy as one of the greatest of all time. 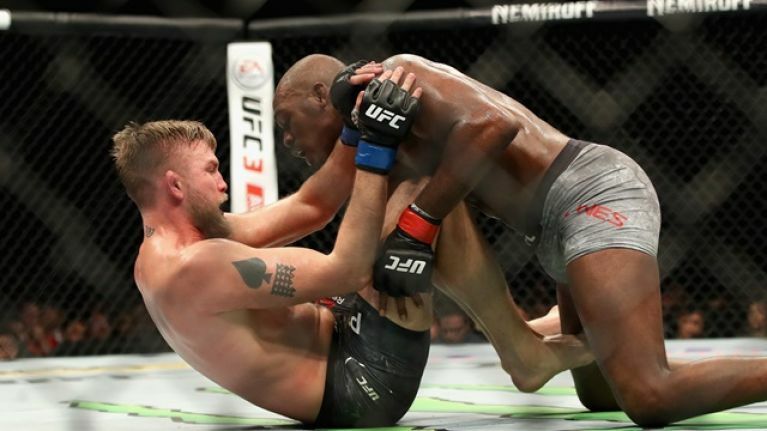 The opening two frames were contested on the feet, with Jones outlanding 'Gus' by a significant margin in the rematch of one of the greatest title fights in mixed martial arts history. The second bout wasn't nearly as competitive and midway through the third frame, 'Bones' upped the tempo by dragging the fight to the mat. "JON JONES HAS REGAINED THE THRONE!" The 31-year-old transitioned seamlessly to side control and used a half-nelson to progress to back mount, a position from where he pounded out his Swedish rival with brutal elbows. 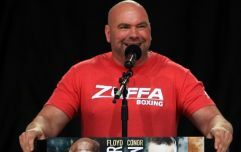 Lifting the belt that perennial nemesis Daniel Cormier vacated 24 hours earlier, Jones invited 'DC' to close out the fiercest rivalry in mixed martial arts history with the realisation of a trilogy in 2019. "I know there's a guy who's been calling himself the champ-champ," Jones said in his post-fight interview. "Prove to the fans that you're the champ-champ. Come get a taste. I'm here, get your belt back. It'll be waiting right here."